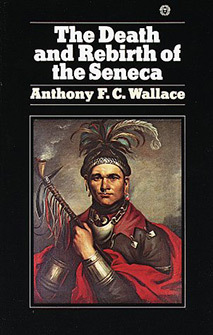 This book tells the story of the late colonial and early reservation history of the Seneca Indians, and of the prophet Handsome Lake, his visions, and the moral and religious revitalization of an American Indian society that he and his followers achieved in the years around 1800. Until this volume, there has been no single book written that relates the history and life style of one of the Iroquois peoples with the encompassing depth and breadth of knowledge, clarity, and interest that the subject deserves. Finally, this book does it for the Seneca. It is enthralling history, told in a knowledgeable, highly readable way. "King of the Delawares: Teedyuscung 1700-1763 (1949) "